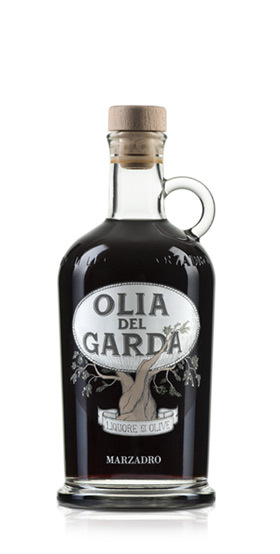 A delicious infusion of olives in Grappa, from an ancient recipe invented on Lake Garda and now reinterpreted by Antonio De Carli. The Marzadro family pays homage to it with this unique liqueur. The ancient recipe requires the cold maceration of the olives along with spices such as cinnamon, cloves and lemon peel in pure white Marzadro Grappa for a variable period of 40 to 50 days. A blend that combines the flavours of our land in a bitter but surprisingly fruity extract.